New Jersey is Celebrating Israel's Independence Day! 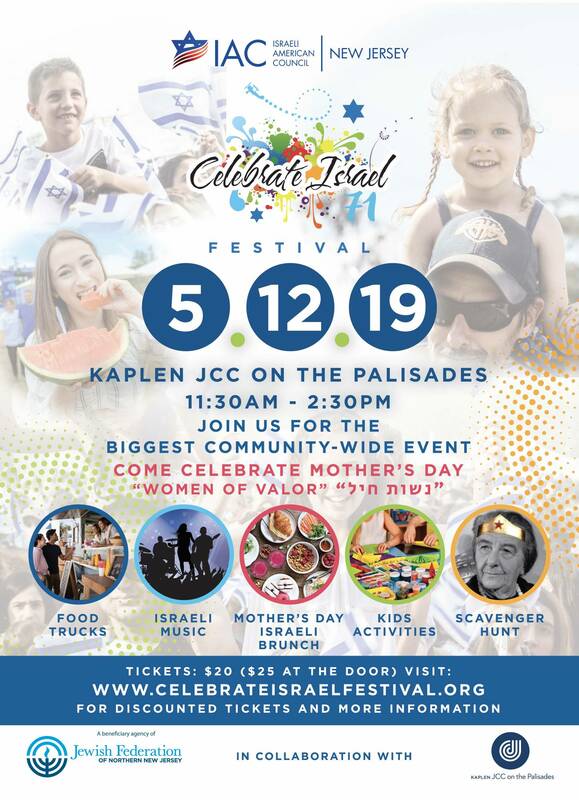 The Celebrate Israel Festival is the largest happening in New Jersey where community members celebrate the State of Israel with food, art, culture, and entertainment for all ages! Enjoy a Mother’s day Israeli Brunch, Food Trucks, a QR code Scavenger hunt for the whole family, kids activities, Live Israeli music, and much more! The event is in collaboration with the Jewish Federation of Northern NJ & the Kaplan JCC.